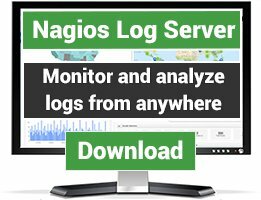 Nagios plugins for monitoring other types of hardware, for which there is no specific category yet. There are 41 Listings in this Category.List your addon or plugin here! This script use HMC command line for check the global status on LPAR infrastructure. Using the standard IETF MIBs this check monitors a network switch's PoE usage and alerts you when hitting self-configurable warning or critical thresholds. This is a Nagios Plugin destined to check the status of APC Automatic Transform Switch via SNMP. The plugin checks status of both inputs and output. a PHP plugin to check if they are some alarms on AppearTV Devices. This script use videoanalitycs methods to check quality of streaming of an Axis security ip camera in tow ways. Checking percentage of white (eg. IR malfunction) or the number of colors in the palette (eg. too dark image). This plugin monitors the status of the CPU and System fans in the Barracuda SPF (Spam and Virus Firewall) series of devices. This plugin monitors the status of the in, out and deferred mail queues in the Barracuda SPF (Spam and Virus Firewall) series of devices. This plugin monitors the CPU temperature in the Barracuda SPF (Spam and Virus Firewall) series of devices. 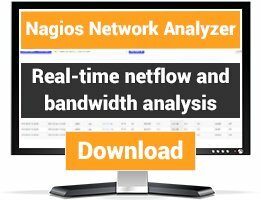 This Nagios plugins is to monitor Cisco router's temperature. This is a Nagios Plugin destined to check the input power supply status and voltage of Dell PDU via SNMP. Check plugin for the Gude 2151 power switch. Check status of APC Inrow RC system (model ARC100) vs. thresholds. This is Nagios plugin for Modbus TCP and Modbus RTU using RS232/RS485. It can be used to monitor PLCs and any other industrial devices supported Modbus TCP or Modbus RTU. A small plugin to check the cpu temperature of your raspberry pi. Plugin returns the date and git version of firmware running on a Raspberry PI. Returns the XBMC version running on a Raspberry PI. NRPE Plugin - Check if a USB is plug-in to a computer or server. Collect status and performance data from a wfrog weather monitoring system. Collect status and performance data from a wview weather monitoring system. Perl plugin that checks Weather forecast via Google Weather API. 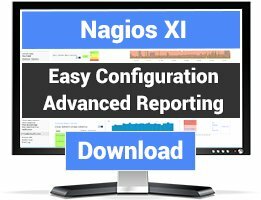 This Plugin is based on the original "check_weather.pl" by Ton Voon (http://www.nagioscommunity.org) You will need Nagios::Plugin and Weather::Google. This plugin checks the sensors of a NVIDIA GPU with NVML Perl bindings. Plugin to monitor the following on a Mellanox SX1710 switch -- Temperature -- Fan -- Power -- CPU Utilization The plugin retrieves the information using SSH.